Plants thrive in sunlight and the farmer, cognizant of this, makes sure that crops are arranged and planted in a manner that will allow them to get maximum sunlight. Essential to this process of organizing the field is the stand count. Done soon after plant emergence, stand counts help the farmer gain a rough estimate of potential crop losses. The traditional way of doing this would be to manually count a certain area of the field and then to extrapolate the total losses from data on that area. The information gained from stand counts is especially crucial in determining a farmer’s next steps. Plants that emerge later than others can cause all sorts of havoc in the growth of the plants beside it. Normally growing plants will eventually overshadow late-emerging ones, depriving them of the necessary sunlight to grow properly. However, while these late-emerging plants may not grow as much as the other plants, it will still consume some part of the nutrients from the soil, effectively making it a weed. The eventual decision for the farmer is to either intervene and replant or simply let go and live with the losses, but this is done on a per-plant basis. To emphasize the point, a comparison is often made between the corn plant and the soy plant. Growth for the corn plant is almost strictly vertical, which means that it leaves ample spacing for late-emerging plants to get just enough sunlight to develop but, at the same time, not enough of it that it becomes a weed. The soy plant, on the other hand, grows markedly different. It branches out substantially so that it almost creates a green carpet with little to no room between plants. Such a configuration means that late-emerging plants will get virtually no sunlight thus limiting their potential for being weeds. Clearly, there are very important decisions that have to be made from stand count information and current strategies of doing so are simply time-consuming and imprecise. Unmanned Aerial Vehicles (UAV) provide a novel alternative to the traditional method of stand counting. 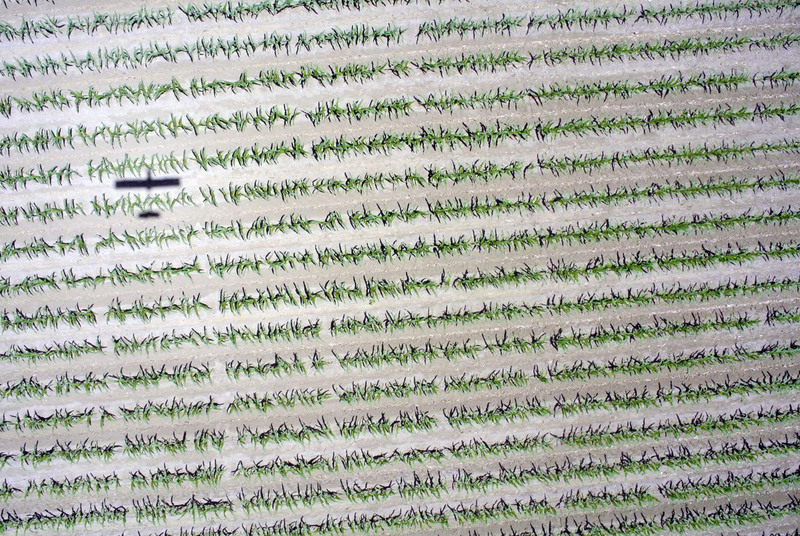 Instead of manually counting only a percentage of the total field, UAVs will allow the farmer to survey the entire field in the fraction of the time they would have used to do stand counts in a limited area. The advantage of using UAVs is bolstered even more with a platform that is armed with high level artificial intelligence, like the PrecisionHawk’s Lancaster. A farmer needs very little knowledge in handling drones to use them. They just define a flight plan, do basic pre-flight diagnostics, and toss the plane. When it comes back, it brings with it all the raw information necessary to determine stand counts. What’s left for the farmer to do is to upload the images taken by the UAV for automated processing and analysis. The PrecisionHawk UAV integrates seamlessly with Data Mapper, a cloud-based application for aerial data management. Data Mapper offers a wide range of agricultural algorithms that converts raw aerial data into processed and usable information so that farmers can make better decisions in regards to their crop management. One of these key algorithms is stand counting. 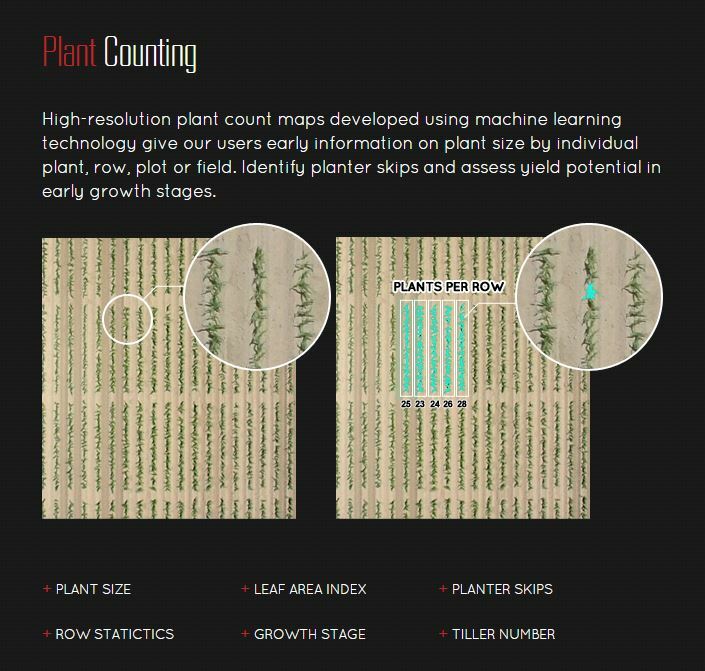 Using a UAV platform with a visual sensor, like the Lancaster which boasts industry-leading sub-centimeter resolution, an algorithm is able to run over post-processed imagery to count the number of emerging plants throughout the entire field—making a much more accurate count than the rough estimate that traditional stand counting provides. This way, the farmer can make decisions not just using potentially imprecise estimates but complete in-field information. Total field surveys will also show the farmers any potential spatial patterns in late-emerging plants that can help them recalibrate their planting strategy in the future. Plant stand management is crucial to the success of a farming season. Armed with powerful information from UAVs and post data processing and analysis through a data system like Data Mapper, farmers have the ability to make better decisions. Just as plants thrive in the sunlight, farmers will continue to thrive in a world with more and better information.